Truer words have never been spoken in my opinion! Italy offers something for everyone and it's so incredibly charming that it almost doesn't feel real at times. There is so much to see and do here, but one of the largest and most well known regions is Tuscany! Centrally located between Florence and the coast of the Tyrrhenian Sea, there are beautiful landscapes as far as the eye can see! The region encompasses beautiful beach towns, medieval villages, historic areas, castles, incredible dining, stunning resorts, spas and more. But, when most people think of life under the Tuscan sun, they think of wine! Home to some of the world's oldest and most notable wine regions, there are endless vineyards to explore! For a wine to retain the name "Chianti," it must be produced with at least 80% Sangiovese grapes. "Chianti Classico" comes from the largest area of Chianti, located on the original land where it was produced. Look for a black rooster seal on the neck of a wine bottle, known in Italian as gallo nero, in order to identify these special wines. This region of Tuscany has one of the warmest and driest climates, and is known for their Brunello di Montalcino wine. Made from 100% Sangiovese, the wine goes through an extended maceration period to add color and flavor from the grape skins. Vernaccia is a white wine produced in and around this beautiful medieval town. The Vernaccia grapes in this region are planted in sandstone based vineyards which lend dry notes, crisp acidity, and a sightly bitter finish. It's an easy drinking, every day wine for residents of this region. This charming city is full of art, history, and culture along their cobblestone streets. It's all walkable with the beautiful Arno River running through it all and great bites around every corner! Known for their beaches, this seaside town offers beautiful views of the sea and the Apuan Alps. Stroll around the chic town and enjoy the tree-lined streets, premium shopping and fine dining! The streets of this charming little town are so small that it's best to get around on foot or bikes. They have the most churches per capita in Italy, making for stunning scenery as you cruise! There is so much more to see here than you may think. After you get your quintessential picture with the Leaning Tower of Pisa, stroll around to enjoy unique architecture, botanical gardens, and more! ... as we take you on a tour through this incredible region! Each week we will be highlighting something different - hotels - suggested itineraries - notable activities - best times to visit - regional style - and more! We look forward to sharing our travels and curated experiences with you and hope to inspire your next trip to Italy! Owned and operated by the Ferragamo family, it's no wonder this hotel is known as "A Place Like No Other." From the second you drive through the gates and impressive tree-lined drive, there is so much beauty to take in all around. The estate is rich in history and it is a destination within itself as there is so much to do on property. Covering over 1,700 acres, it offers many different types of accommodations from suites to private homes, some of which are located in a beautifully restored medieval village. As you stroll through the streets you will find local artisans hard at work creating shoes, pottery, gold jewellery, paintings, hats and much more - offering wonderful gifts to commemorate your stay. Around the main property, there is a beautiful wine and art gallery as well as plenty of activities including hiking, horseback riding, tennis, golf, yoga and wine tasting. Il Borro truly has it all! 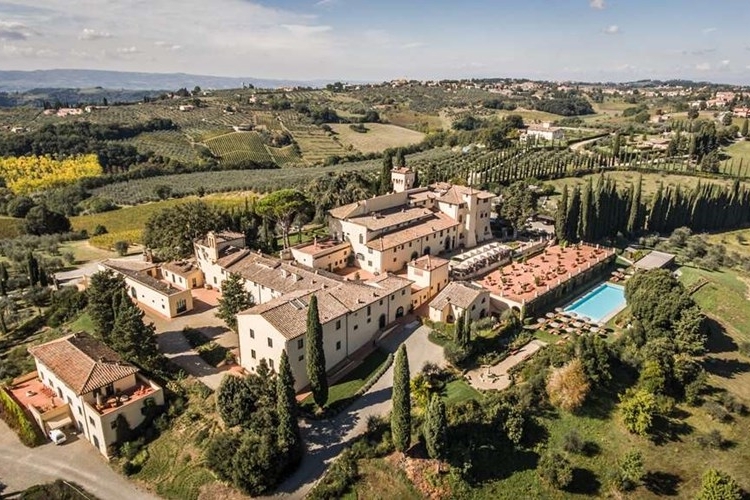 This property is unique in that it is perfectly situated in the heart of Tuscany. You will feel like you are lost in the countryside, but you are within an hour drive of main cities like Florence, Siena and Cortona. Since you are so centrally located, you can do incredible day trips to beautiful surrounding cities without spending all day in the car. 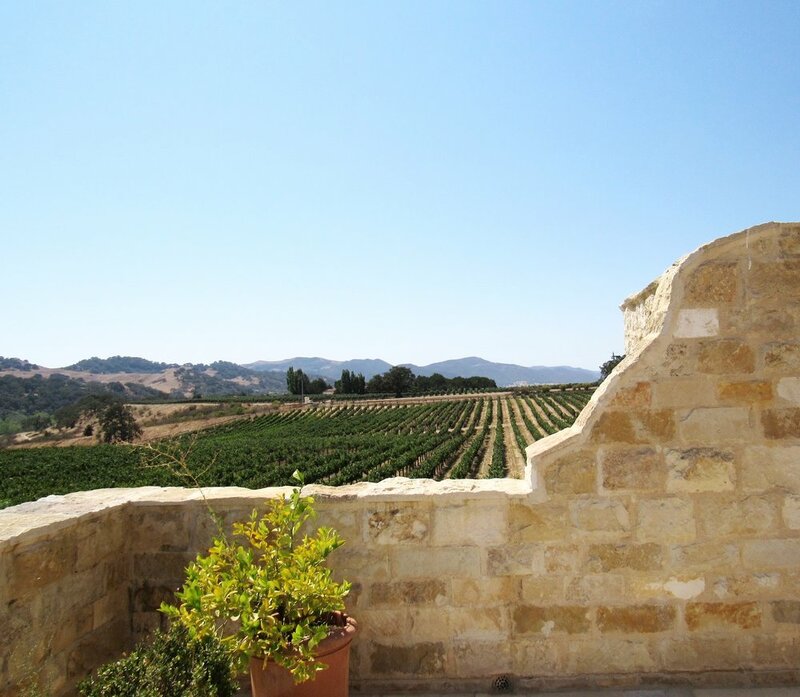 Their estate is also close to countless wineries if you'd like to enjoy a day of wine tasting among the vines. Vino & Arte Gallery - View the stunning collection wine-themed engravings on display as you travel back in time through the history of Il Borro. The story is told by famous artists such as Picasso and Warhol and they illustrate the history of the property as it passed down through the Medici, the House of Savoy and eventually the Ferragamo Family. The gallery leads to their new and old Cellars which are where the real fun happens with a tasting of their fantastic wines! Learn more about the "art" of Tuscan wine-making as you taste in one of the oldest cellars in Italy where the first Chianti wine was produced! VinCafè - This chic restaurant first delights your eye as a design masterpiece and then entices your tastebuds with a delicious paired tasting menu inspired by the best local products. It's the perfect setting to sip and savor!